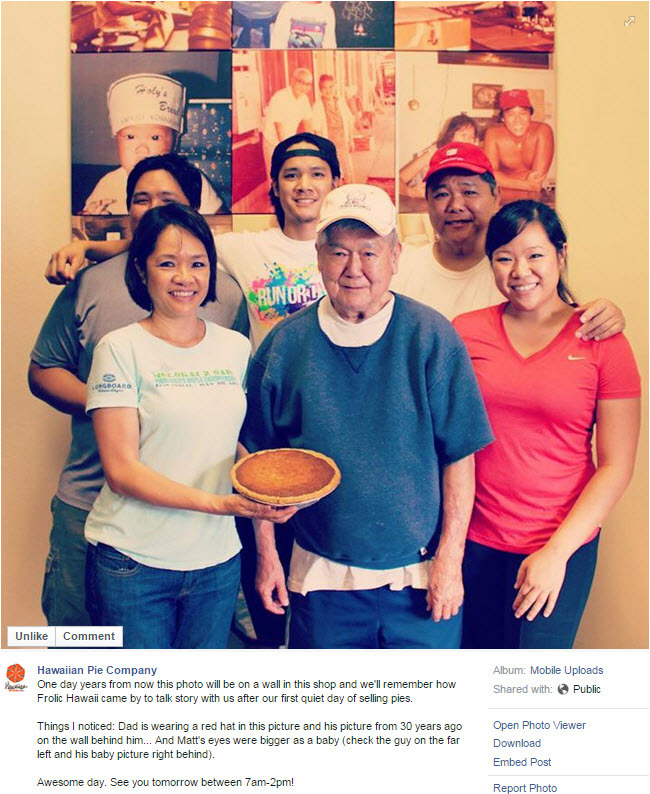 Two days ago I had the honor of witnessing three generations working together at the newly opened, Hawaiian Pie Company. We rarely see this kind of small family business opening these days in the age of big box stores. The piece ran on Frolic Hawaii on the day of their soft opening, Thursday, December 18, 2014.